Two American folk musicians, union and environmental activists, both legends in their own right, to appear at the Spirit of Mother Jones Festival, Cork on Thursday, 31st July 2014. 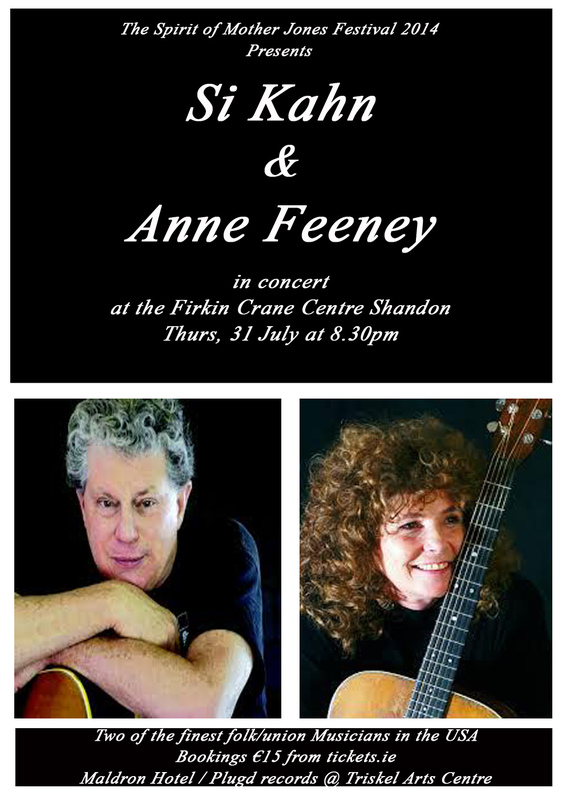 The concert takes place at the Firkin Crane Theatre, Shandon on the historic northside of Cork city starts at 8.30pm. Booking is €15 from tickets.ie, the Maldron Hotel and from Plugd Records @ Triskel Arts Centre.